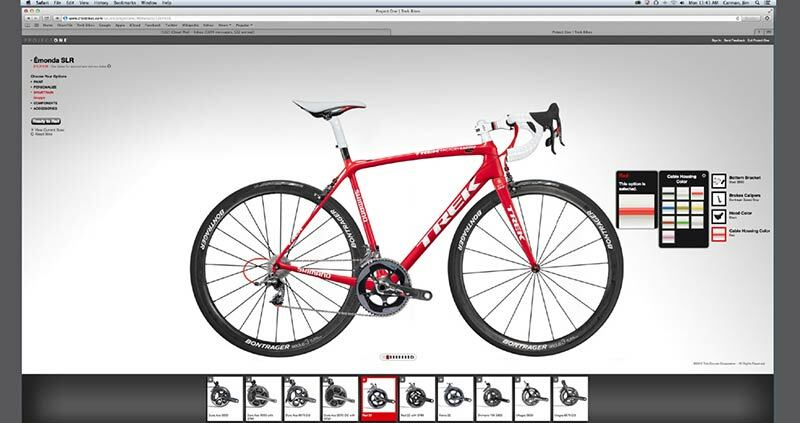 Trek is a leader in bicycle manufacturing and distributing, and always finding ways to stay ahead of the curve. 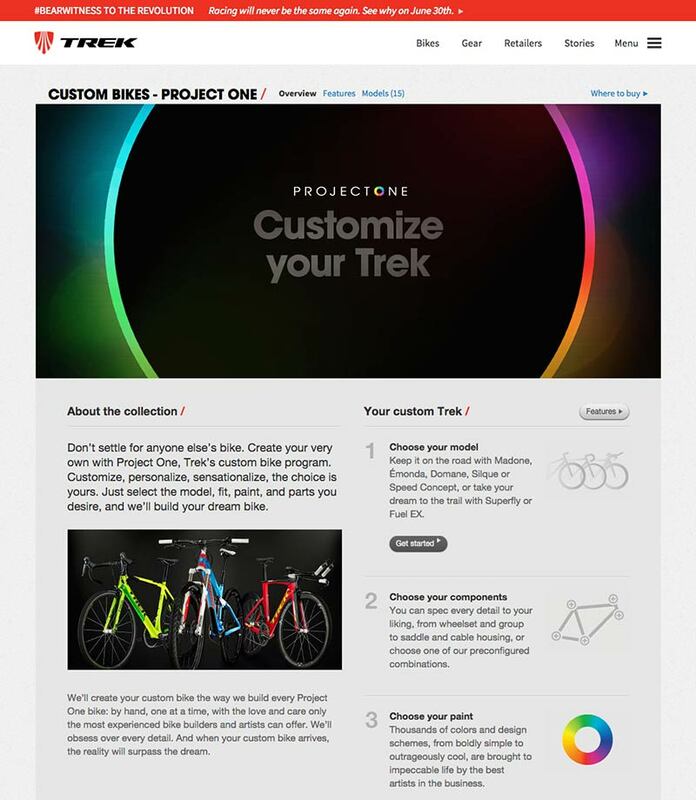 One of the major projects we work on is Project One—Trek’s custom bike program. 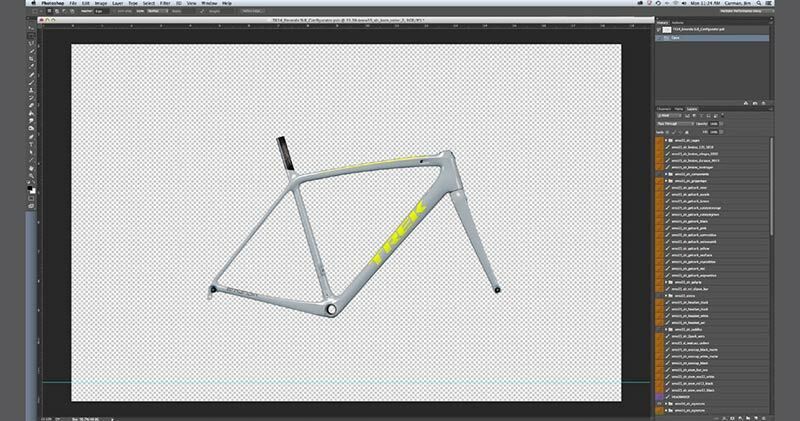 With a few clicks of the mouse, Project One allows bike enthusiasts to customize, personalize and build their dream bike on-line. This, of course, involves a lot of work on the front end. That’s where we come in. 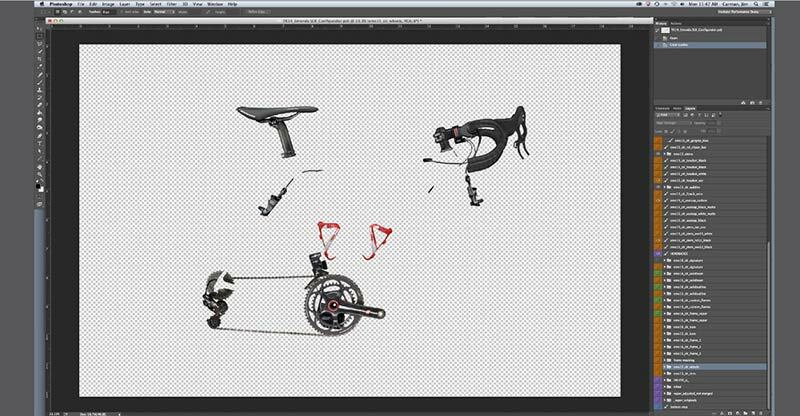 We work directly with photographers to isolate the pieces of each bike model and reconstruct them in Photoshop. 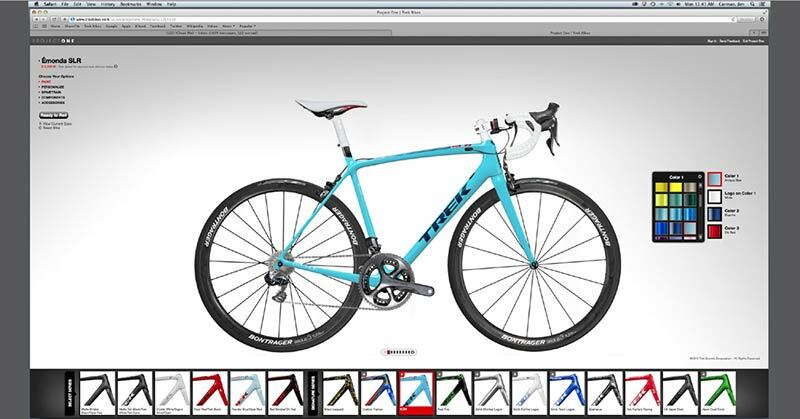 This allows us the ability to simulate options in color, as well as personalize decals and custom bike parts, including tires, handlebars, seats and pedals. 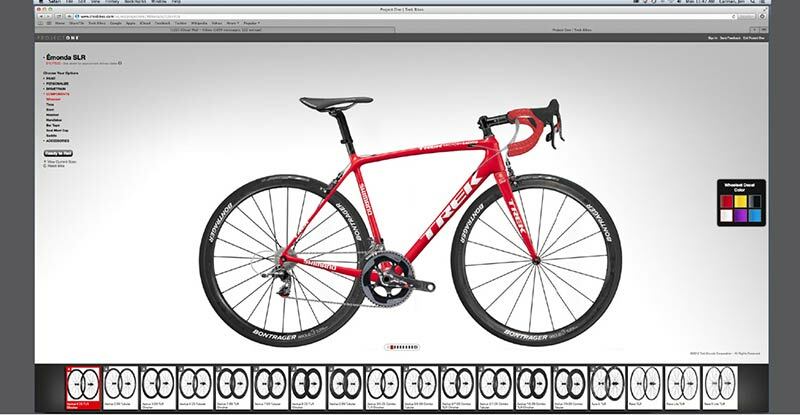 The result is an intuitive online experience that involves customers in the creative design of their new Trek bike. 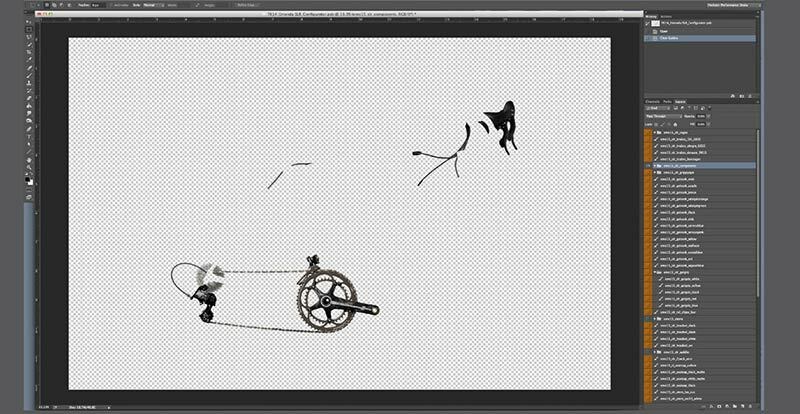 Clean up surfaces, align to the set masks, set clean out unnecessary jigs and background eliminated. 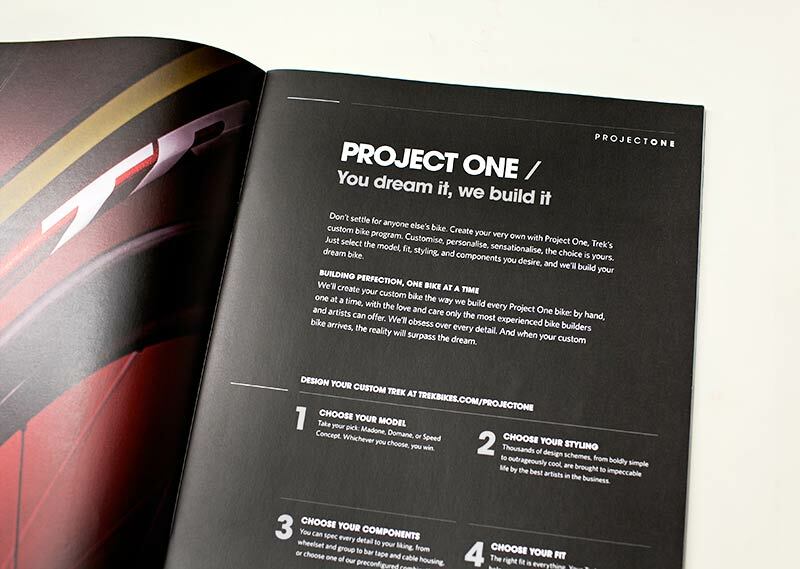 Project ONE allows the user to select from hundreds of color choices and thousands of design combinations. 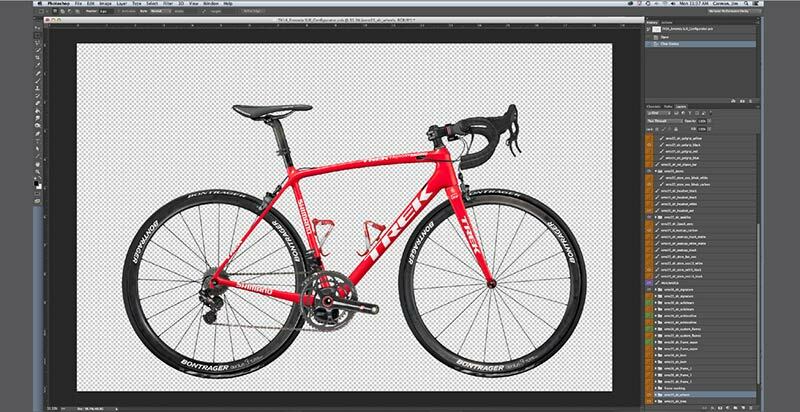 Each Photoshop layer corresponds to an option on the Project ONE selection tool. Designing a system with this degree of accuracy may seem in vain. Rest assured the reason that this product sells is because of the accuracy of the Project ONE online tool. 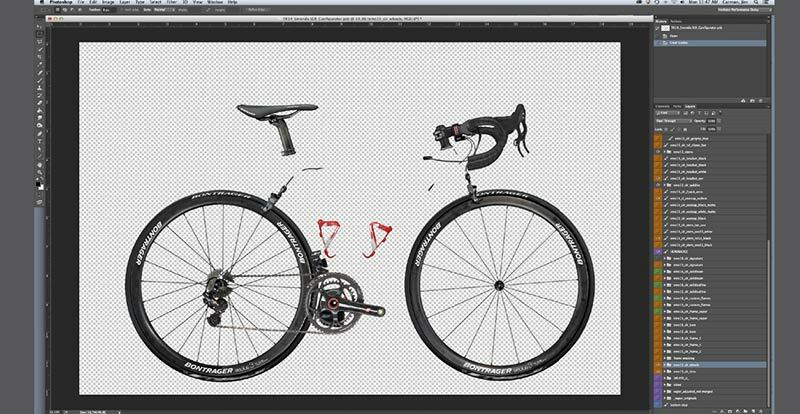 While building the layers it is crucial to keep the frame and components locked into position, to assure that the view of the bike doesn’t change when the user chooses various selections. 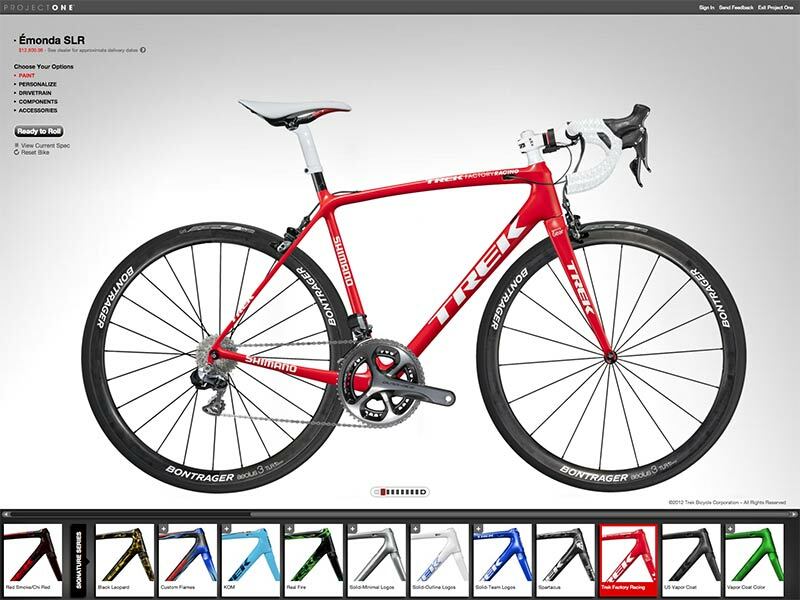 We help Trek create custom bikes the way they build every Project One bike: by hand, one at a time, with the love and care only the most experienced bike builders and artists can offer. 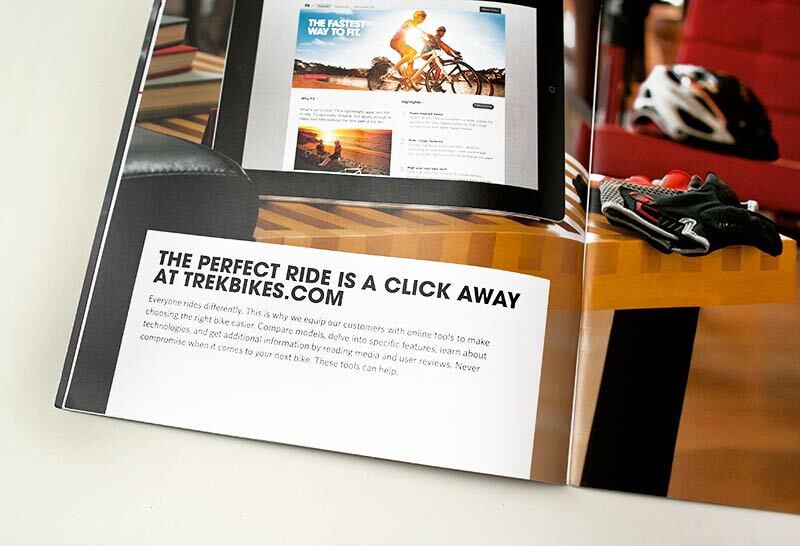 We’ll obsess over every detail to make sure all of Trek’s customers are very happy bikers.